Don’t cry, Justin Bieber! The 24-year-old star and his rumored wife Hailey Baldwin, were hanging out at Universal Studios over the weekend — and it most definitely wasn’t all smiles. 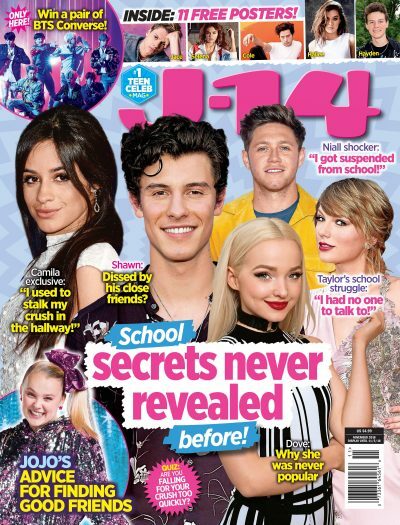 A source tells J-14 exclusively that the “No Brainer” singer was “sobbing,” and his 21-year-old bae was allegedly comforting her other half by stroking his hair. Which, by the way, is completely shaved now. This isn’t the first time Justin was spotted shedding a few tears out in public with Hailey. Back in August, he was seen crying while the couple was out and about on a CitiBike ride in New York City. Watch the video above to see the footage of Justin crying for yourself.